Availability: This product is discontinued and no longer available for purchase. 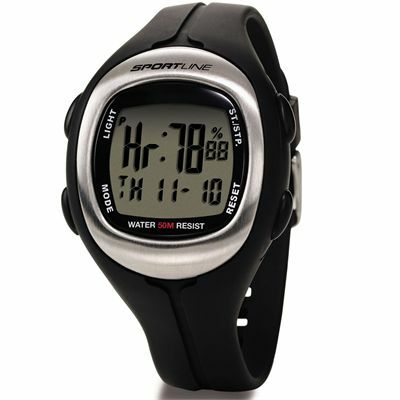 For alternatives browse our Swimming Watches department. The Sportline Solo 915 men’s heart rate monitor watch boasts Any-Touch heart rate technology and gives on-demand ECG heart rate readings. The wrist monitor offers calorie burn tracking and provides HR readouts instantly with the single touch design. It has a digital display and many top features to enhance your exercise sessions including a countdown timer and water resistance to 50m (164ft). for submitting product review about Sportline Solo 915 Mens Heart Rate Monitor Watch.